We followed the suggestions in the project outline (closing our eyes and feeling things, then crumpling and flattening out our paper). The idea that most students went with was the use of watered down tempera paints. 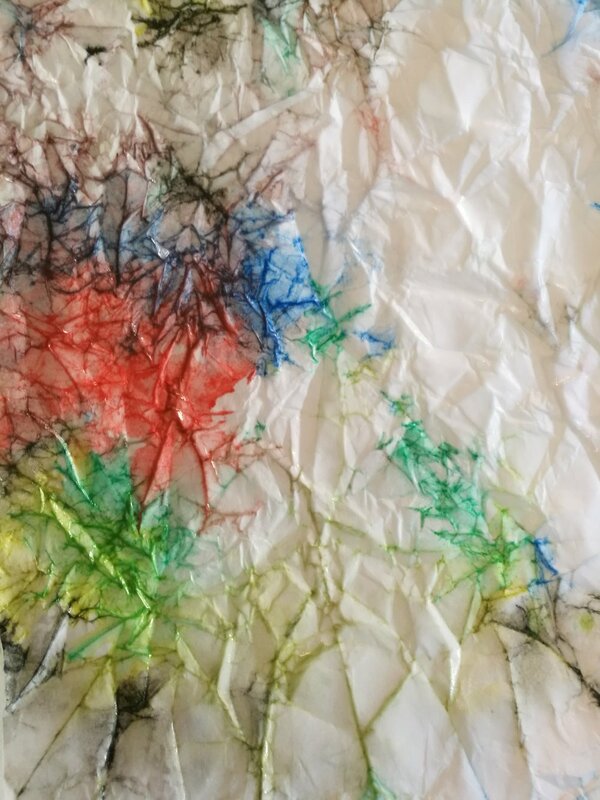 We were hoping that the paints would be watered down enough to flow through the wrinkles or the "valleys" on the paper. Students could either use the paint brush, tilt their paper back and forth to move the watered down paint, or blow on the drops of watered down paint. Much of the finished artworks look very abstract and like the paint was flung, but that was not quite what happened. Also, some of the students made comments like "this is New York City" or "this is a metropolis" for a paper very full of paint. Others made comments about it being more rural when there were areas with less paint, just as we would expect to see on a road map. Overall, they had a really fun time with the activity! It is also more fun to paint outside than in the portable! :) To see a presentation of Feel the Flow project, please click here. Kaarina Losey is the 6th grade teacher at Ryerson P.S. in Cambridge, Ontario, Canada. 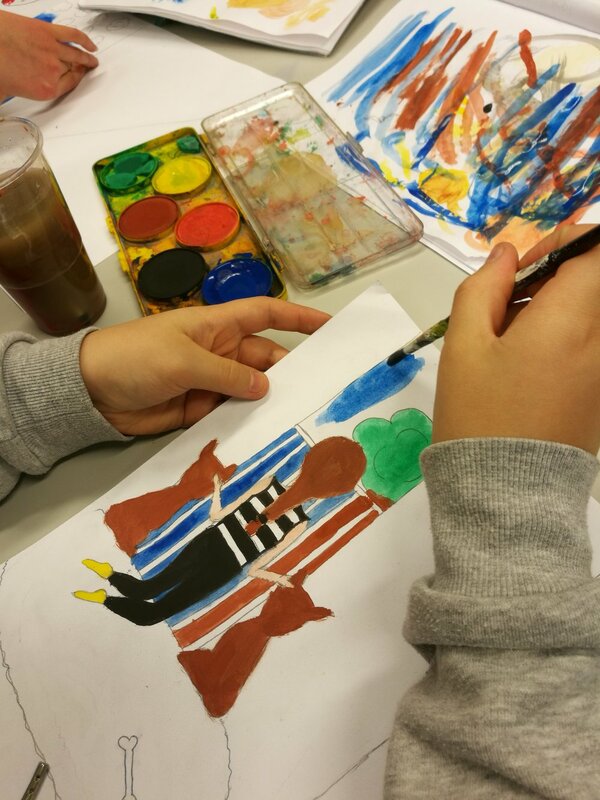 Her group of artists are making and sharing art with the Päivi Huhtinen and her group of 6th graders from The English School in Helsinki, Finland. We tried marmoring colours. Pupils did different experiments with other colours as well. They added for instance dishwashing liquids on colors and/or used wet papers & salt. That really made a mess, but it was worth it and they helped with cleaning. The group enjoyed last lesson of this school year a lot. I saved all mini paintings for the next year, when we can somehow continue the work and draw on them. I feel very grateful for our collaboration. Thank You both! The 6th graders from The English School in Helsinki, Finland are making and sharing art with the 6th graders at Ryerson P.S. in Cambridge, ON, Canada. Unfortunately we had very poor weather with gray skies and rain for much of the time, so were unable to check out our shadows outside. As a result, we created our "shadow selves" by reflecting what we felt and liked on the inside, into a drawing for others to see. We gave our nod to the idea of shadows (e.g., being dark) by drawing with charcoal on the black background. 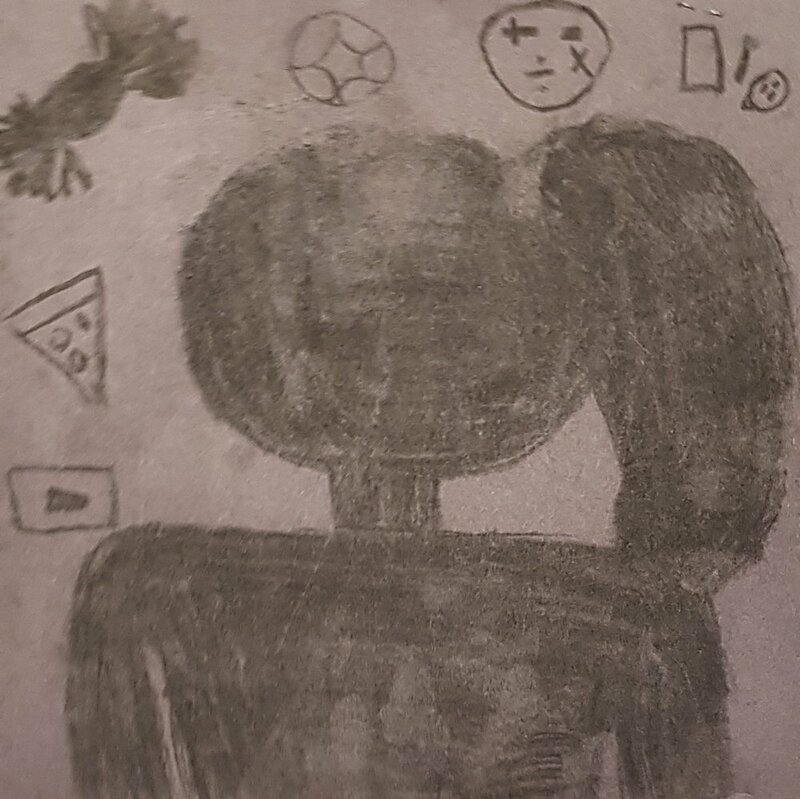 The students really liked the opportunity to explore and draw the things that they liked and that represented them with charcoal. They were very eager and excited to explore both the medium and the topic! To see the wonderful presentation Kaarina made of the artworks and creative process, please click here. - Shadows appear if there is a source of light. 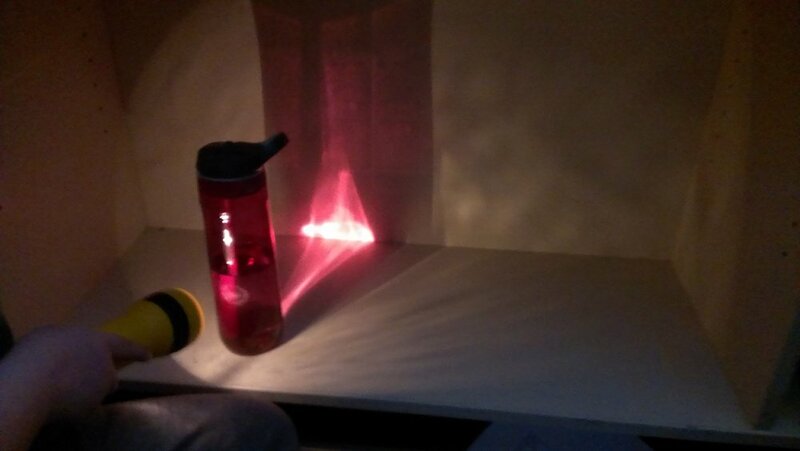 We experimented with flashlights to see the shadows of various objects around the classroom. - Some students used the day light to see the shadows of real objects. They noticed a difference in shadows created by flashlight and daylight. We learned how the light travels, what happens to the light when passing through objects. We will continue exploring shadows and light building rich imagination and creating our self-portraits. We are sending pictures from our class exploration on shadows. They worked together, observed, tried, made errors and tried again which is huge experience in character building. I can't wait to see what would their self-portraits look like. 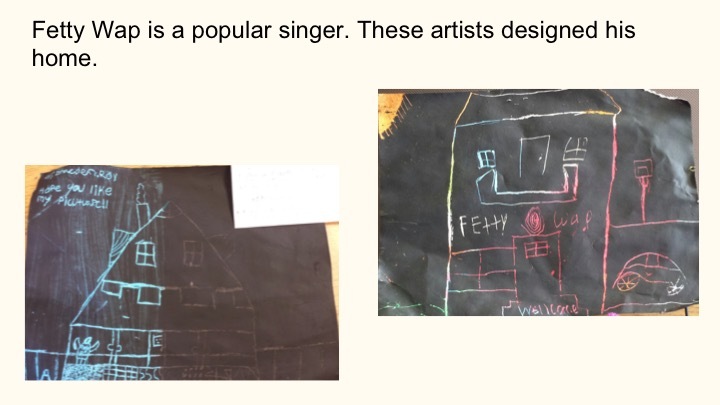 The 4th graders from Ryerson Public School in Cambridge, Canada are making and sharing art with the 10 years olds from Kepa School in Karelia, Russia. Мы использовали фонарики, дневной свет, вспышку от фотоаппарата. К сожалению, солнца в тот день не было, поэтому не смогли поработать с солнечным светом. - Тень появляется, когда есть источник света. Мы рассмотрели тени от разных предметов в нашей классной комнате. - Размер тень зависит от расстояния между источником света и предметом. - Мы поговорили о различии между тенью от естественного и искусственного источника света. Мы узнали, как свете перемещается сквозь предметы. Мы продолжаем изучать свет и тень, и создавать с их помощью свои автопортреты. Интересно, какие же они получатся! The children loved this assignment! How to fold and cut and which way to crease the paper was a great experience for the children. 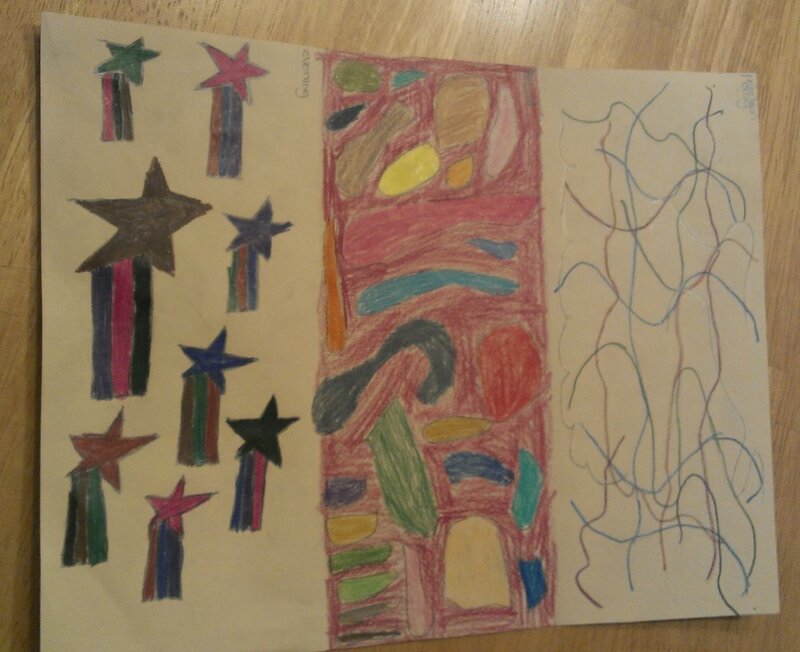 The kids love the assignments and your projects inspire them to look for various art work with attention to how that particular art work is made. They think as artists. As a class we visited the website of Robert Sabuda and examined some of his more complicated designs, and how he used different techniques to create “pop-up” art, or art that was three-dimensional. I showed them the basic, fold and parallel snip technique to make individual tabs for items. 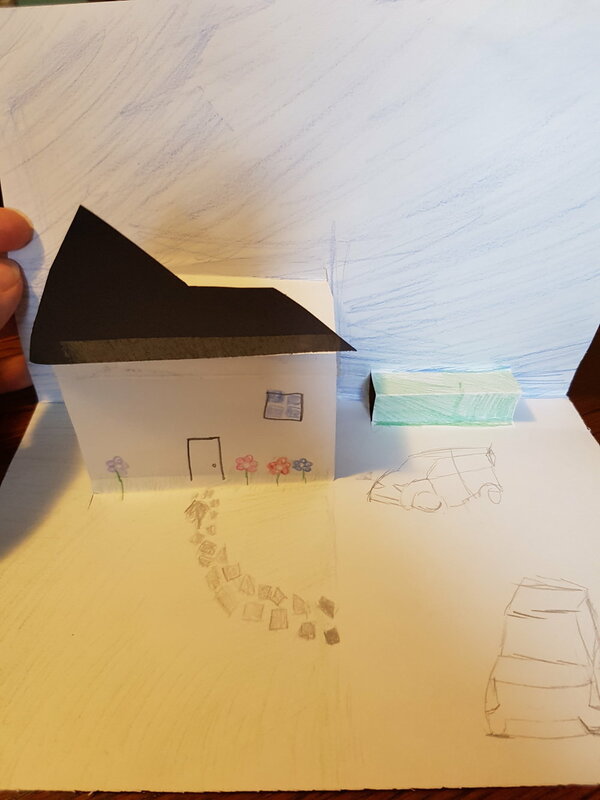 Students were tasked with creating their favourite place/setting, whether it is their home, their bedroom, an imaginary place, or some other location. Their place/setting had to incorporate some pop-up or three-dimensional features. The rest of the task was up to their individual artistic interpretation. Students had very mixed reactions when starting this project. Some were very excited, and some intimidated. Others seemed very confused with the actual construction process, and went through several pieces of paper until they figured out what worked, and how to put it all together. 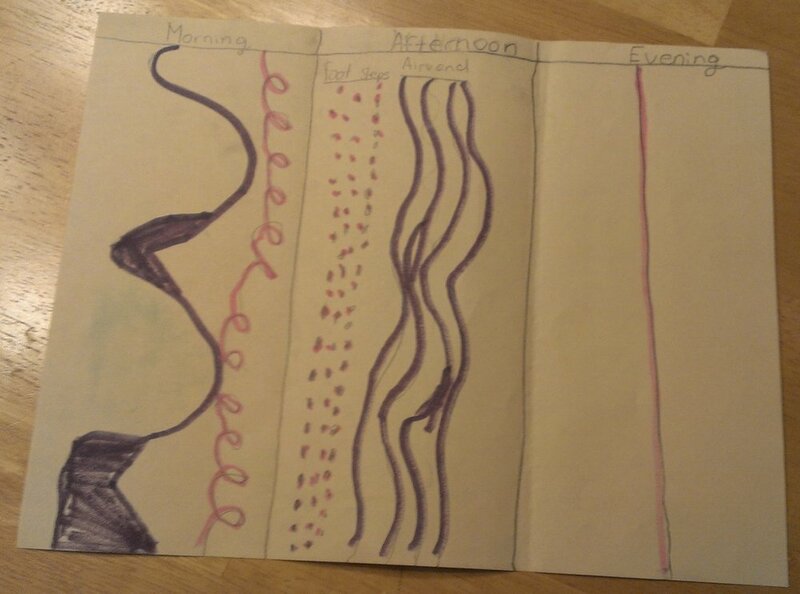 Students were encouraged to do a bit of planning and try different techniques, and most took the time to do that, with excellent results! These projects will hopefully arrive in Finland shortly! Feel free to check out the different techniques that students used to create the pop-up and three-dimensional artworks when they arrive! Click here to see the full presentation. Some students could actually hear their heartbeat and their blinking and breathing as we tried it the second time... some just got a bit silly after seeing their "now" drawings. It was a fun experience, but I think I would have preferred to do it in smaller groups of students, so that they maybe wouldn't be as easily influenced by one or two "silly" students. To view the Lay of the Land presentation click here. This is how we see the sounds that surround us at different times of the day, month, year, our life. It is interesting to see the children becoming aware of and discovering the surrounding sounds. They talked about sounds they hear at night in their houses. Some of the sounds looked like tornado. They described and wondered about the sound of a falling star. 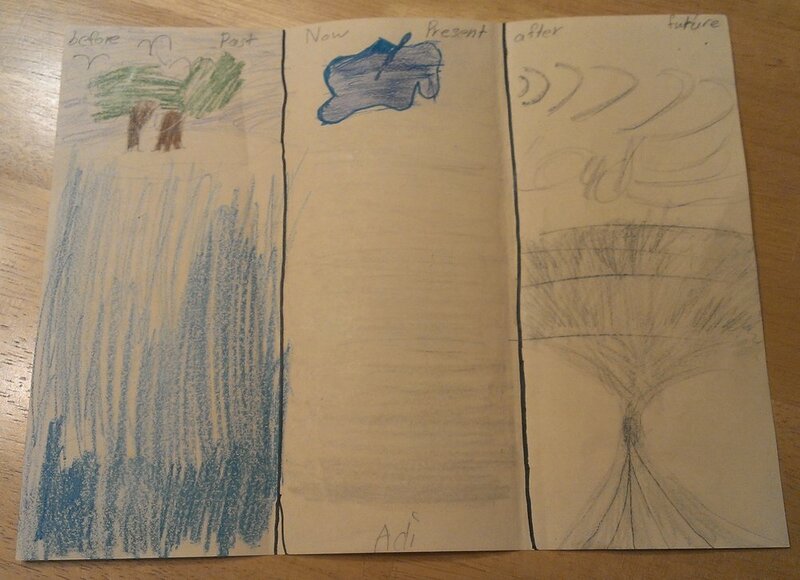 They pictured the sounds at school, the school bus, and the sound of the quiet time before bed to create their triptychs. Great conversations and lots of fun! Вот так мы видим звуки, которые окружают нас в разное время дня, месяца, года и нашей жизни. Интересно наблюдать, как дети начинают обращать внимание и открывать для себя звуки вокруг. Они говорили о звуках, которые слышат ночью у себя дома. некоторые напоминали торнадо. Они описали и попытались представить себе звук падающей звезды. На триптихах они изобразили звуки в школе, в школьном автобусе и тихие звуки вокруг перед сном. We listened to the silence and very loud noise and made notes. In the third section, I asked pupils to think about the sound of a place where they feel happy and relaxed. They all liked the task and concentrated really well. Venturing with the artists at Viertola School! For our 4th meeting in Viertola School, in Vantaa I had prepared a slideshow of different modes of transportation. The images inspired us to think how these machines work, and we discussed ways to travel to places, for humans and fish, birds, and animals. Looking at inventions such as child seat on a bicycle or a sleeper train, we talked about journeys we take on our own and with a friend. The artists talked about their own travel experiences. Some travel home to a different country almost every weekend! Recycled materials worked well, I was very pleased to see students sharing materials with one another and creatively approach not only the design of the machine, but also of the environment around it. One artist even changed the “Air, Land, Water” to “Past, Present and Future”, to suit his time-travelling apparatus. As the artists were finishing their work, we gathered around the table in a Dear You corner that Kirsti had created, displaying artworks and letters from our friends, and talked about the scratch art homes that had just arrived from Canada. We had some exciting discussions in small groups, trying to guess where each of our friends’ character lives. Thank you for sharing art with us, teacher Dance and your wonderful students! The 4th graders from Viertolan Koulu in Vantaa, Finland are making and sharing with the 4th graders from Ryerson PS in Ontario, Canada. Spiraling their way from Canada to Finland! 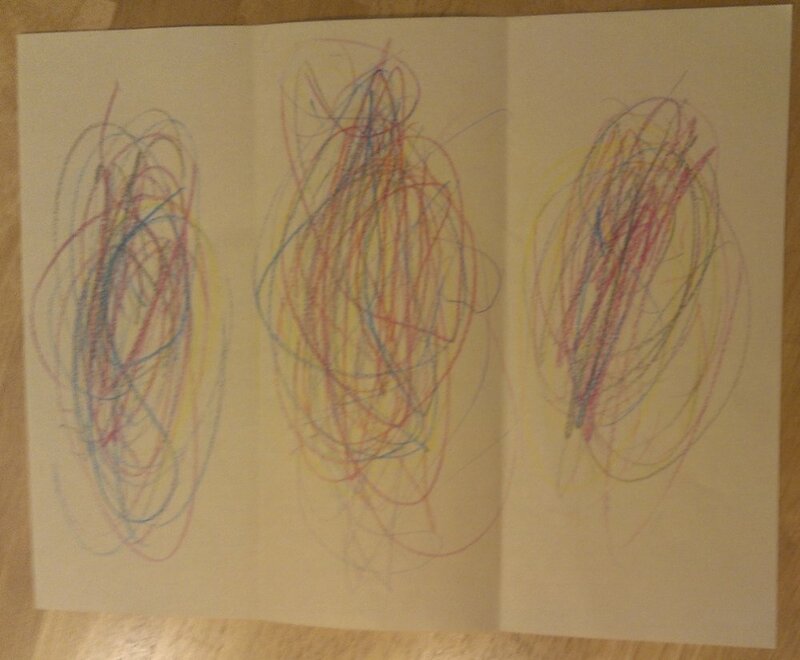 We received the spirals and shared them the class. It was interesting to watch the kids guessing the day/night side of the spirals. Our art is on the way. The characters are traveling using different kinds of transportation. Our spirals (project #3) should arrive at the same time with the project #4 (different kinds of transportation). The kids wrote letters in English. There was a group of students who were eager to write in Finnish Language. They used Google Translator. We are not sure about the accuracy of our translation, but I am proud of the kids who came up with this idea. The 4th graders from Ryerson PS in Ontario, Canada are making and sharing art with the 4th graders from Viertolan Koulu in Vantaa, Finland. From Canada to Finland- we are making connections! These are the images of student vehicles that they created. 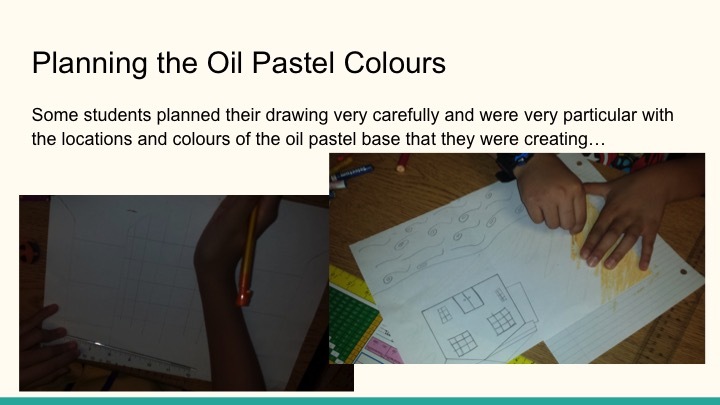 They had the option to use any materials in the class or from home. They could create a real or fictional vehicle and describe whether it was for land, air or water travel. A few students (large yellow wheels) and a long one with a parachute and green propeller actually wired them to operate (electricity was our first big project of the year). The 6th graders at Ryerson P.S. in Cambridge, ON, Canada are making and sharing art with the 6th graders from The English School in Helsinki, Finland. Looking around and what do we see? These works are all on their way to Päivi and her students. They were posted earlier this week, so hopefully they arrive before the holiday break! Looking at Vincent van Gogh's and William Turner's works for inspiration! We began the 90min meeting with 4A class in Viertolan Koulu in Vantaa, Finland by reading out reflection and feedback from teacher Dance and her wonderful students in Ontario. 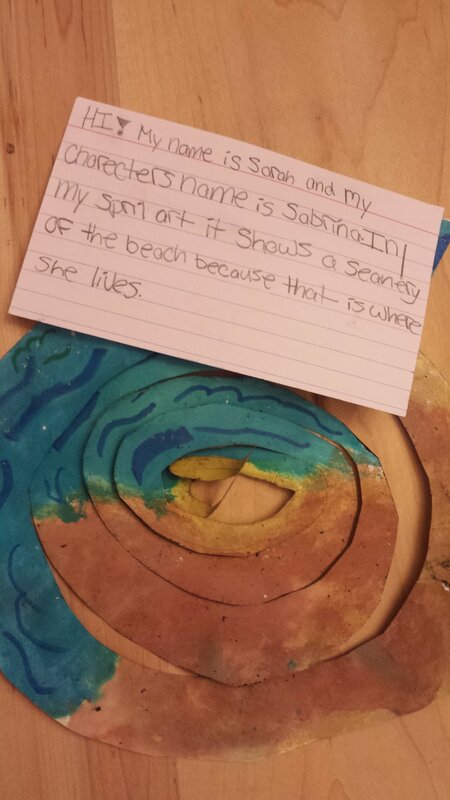 I feel that it is always important for the young artists to know that their art appreciated and valued. 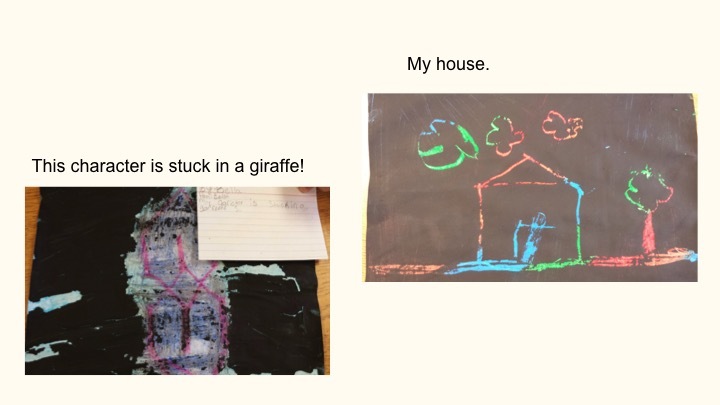 Preparing for the worksop, I found the suggestion to demonstrate artworks depicting different kinds of environments to the children very helpful. Together we looked at works by Vincent van Gogh and William Turner, and discussed how these artists captured their worlds. We talked about how light, colour and brushstrokes can tell us about the weather, time of the day and the season in the landscape. Thank you to Kirsti and Viertolan Koulu for welcoming me again. 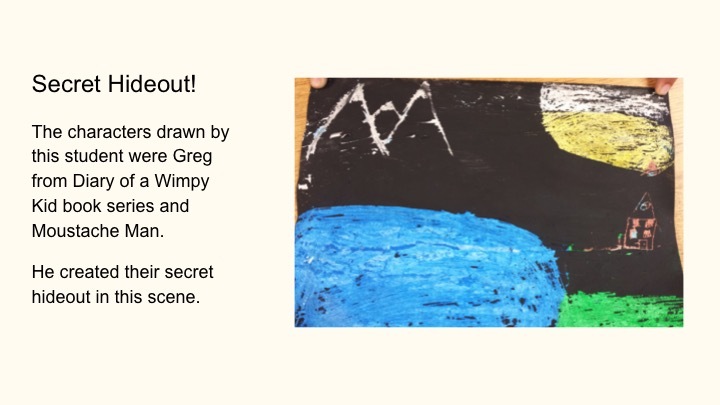 Can't wait to see the art we get from Ontario! They really enjoyed the artwork as they got going with it. A few students used too much paint in an attempt to cover it completely and then had the paint flake off instead of allowing them to etch it off. Some were very hesitant about painting over their artworks. 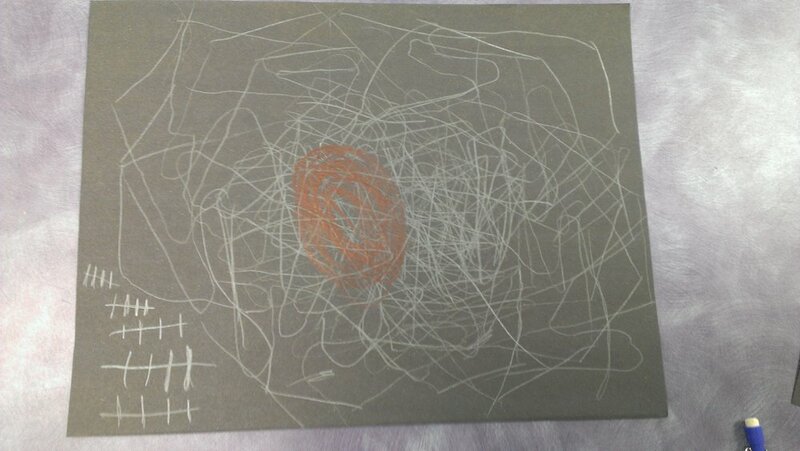 :) Others enjoyed it so much they asked to do a second artwork jn the same manner! I asked the group to think about what makes them feel home. They wrote some thoughts on the back of the work. We used a ready made black & silver scrap-card board. Last lesson we looked through the images made in Canada. They loved the works and had lots of comments. 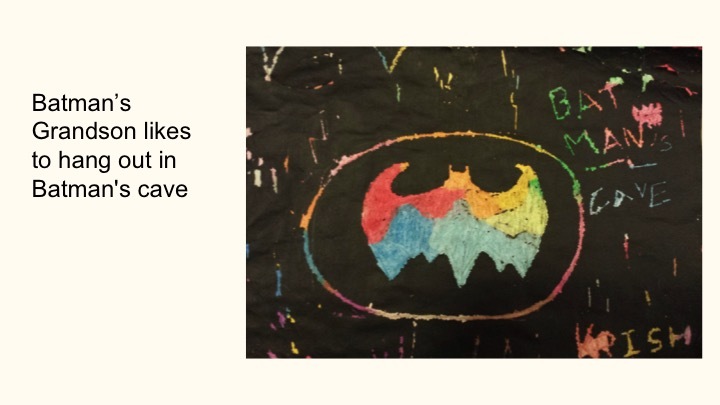 We packed the Layers of Love scratch drawings, their comments, and the school posted it today. Flying homes on their way from Finland to Canada! Our homes are on their way to Canada! Young artists from 4A in Viertolan Koulu, Vantaa, Finland, are a real team of independent thinkers! Each artist created their own, unique home for their character. In some homes there were pets and flowers, a little bit like in the artists' own houses, while others were evidently created especially for Pockemons, horses and superheroes. 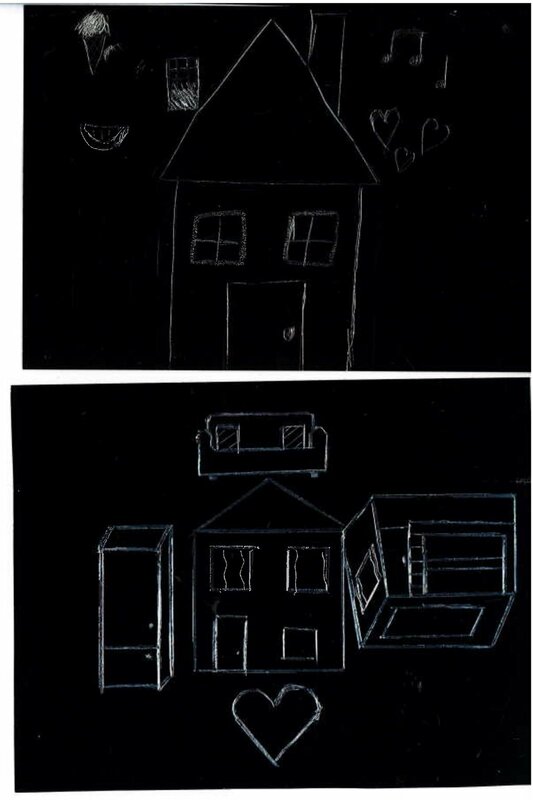 Because of the small size of the paper, the secret houses look like postcards with a coded message. 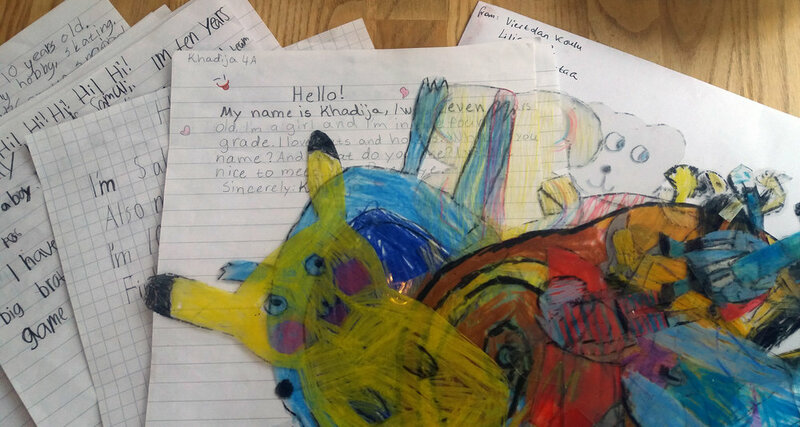 Some of the young artists, encouraged by their wonderful class teacher Kirsti, had prepared personal letters addressed to their new friends. This is already the second letter they have written to the artists in Ryerson Public School in Cambridge, Canada. It is very inspiring to see different ways of communication that we can use to connect with each other. The 4th graders from Viertolan Koulu in Vantaa, Finland are making and sharing art with the 4th graders from Ryerson Public School in Cambridge, Canada. Life is like a movie at The English School in Helsinki! 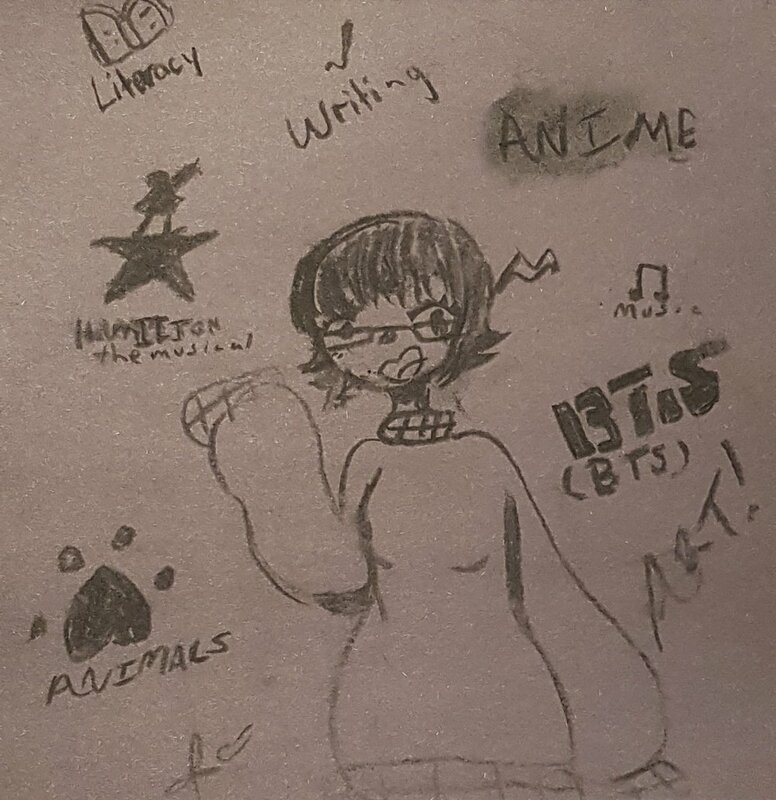 As the first art task of this school year, the group was asked to imagine what if an animation film was made based on their own life. 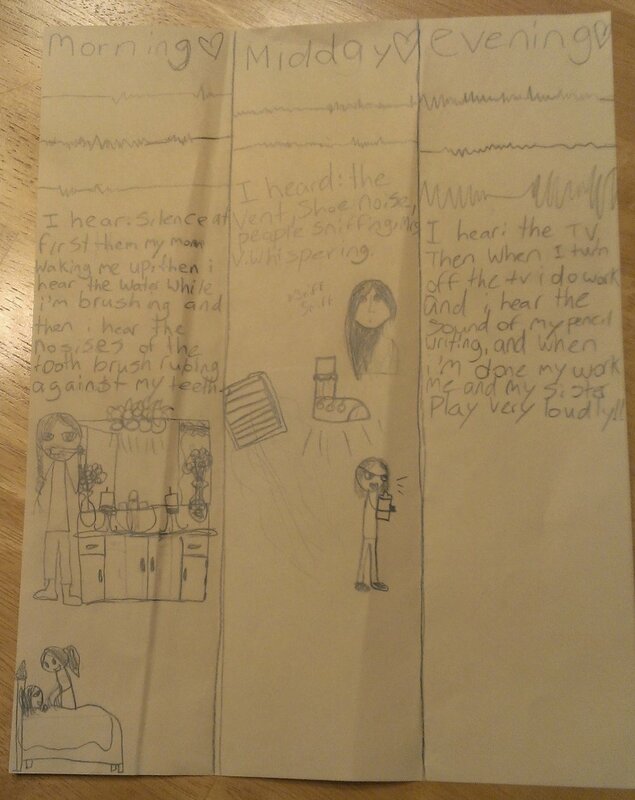 They planned and drew sketches of the recent experiences they have had. This task just happened to be very similar to Arlene´s first Dear You task. Many combined these two tasks together. 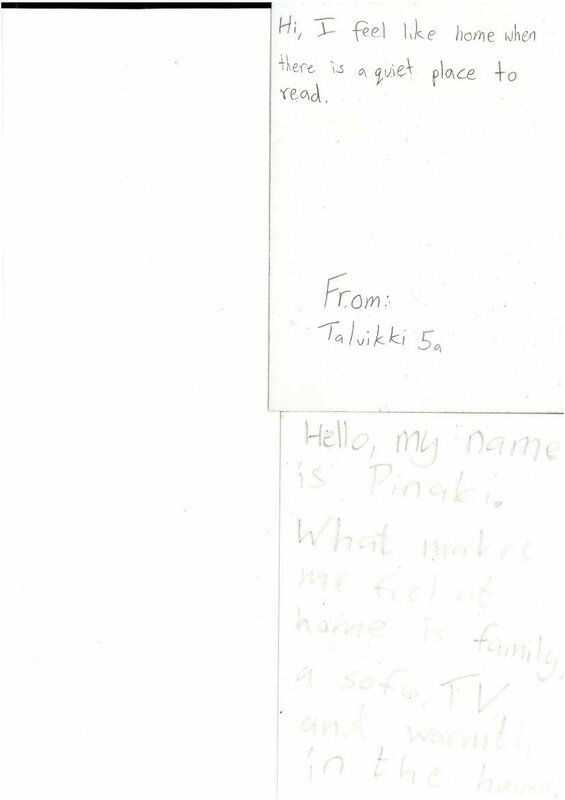 Children seemed to be a bit shy when writing to their new Canadians friends. They had time to write only short notes. However it was nice to see how their motivation grew as they their work progressed. 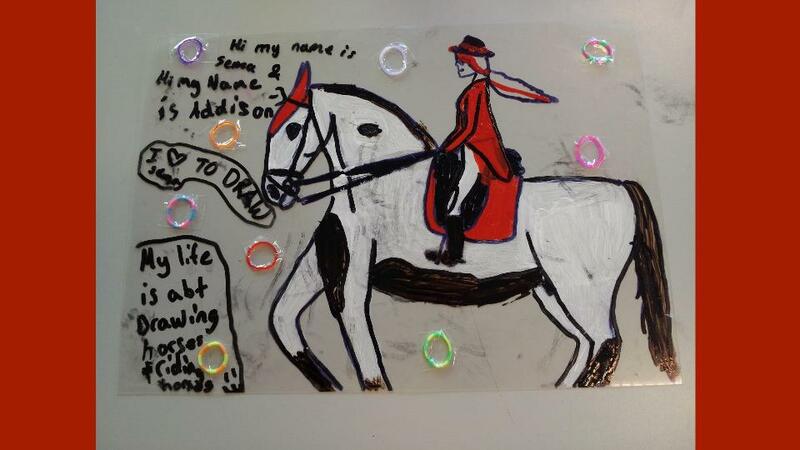 As a medium they used waterproof markers, transparent copy sheets, class paints + some colourful plastic sheets. Most of the photos were taken against our classroom window. Many of the pupils have been playing Pokemon Go and that shows! Many images are based on hobbies and other interests of life. Most images are very personal. We are ready to share our characters with our partners - Grade 4 friends from V.K. in Vantaa! Their package arrived today and we really enjoyed the art work! I posted their characters on the glass window in our room. I am sending a picture for you to see how beautiful they are. The kids are excited to draw and write to kids who are far away from their country. There were so many questions about Finland and predictions on the climate. Some of the students really took time to share details from their lives. 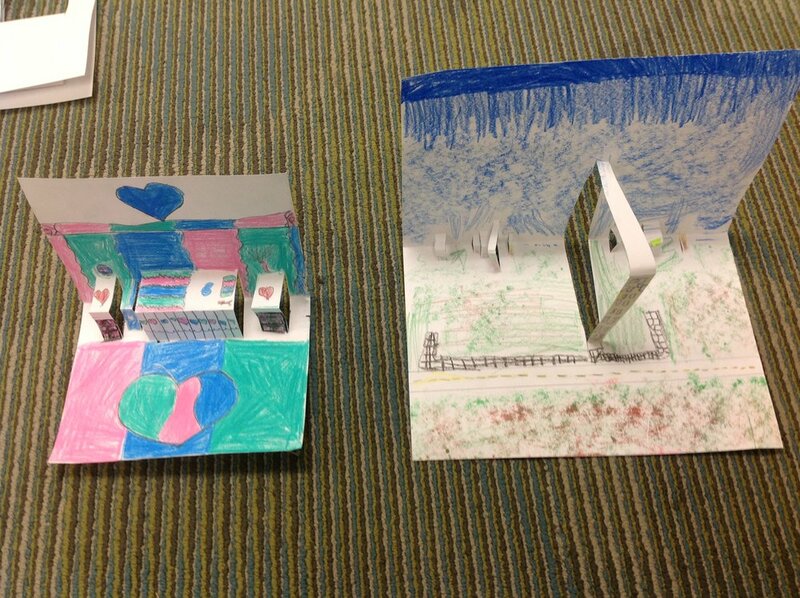 I am sending pictures that show the working process and finished art work. It has been a great experience so far and we can't wait for the next art idea! VK 4A Lights, Camera, Action! 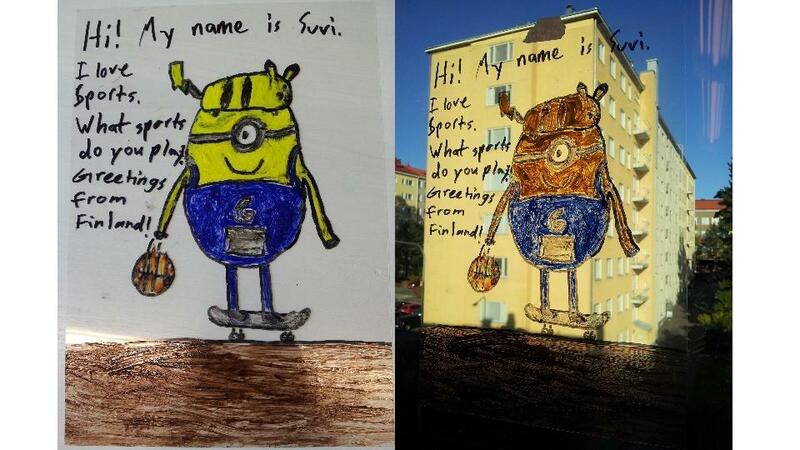 Characters and superheroes from young artists in 4A class in Viertolan Koulu in Vantaa, Finland are on their way to Ryerson Public School in Cambridge, Canada! We used oil pastels and overhead projector sheets to create the stain glass effect. At the end of the workshop the kids handed me a bunch of letters that they had written to their new friends personally. It was wonderful to see that Dear You project continues outside of our 90 minutes sessions. Together we wrote the names of the young artists and names of their characters next to each other, so it will easier to match artworks from this and following projects as the Autumn session continues. The pace and the structure of our meetings are always important to me. As we use English as the main language of communication, with the help of the class teacher translating to Finnish and other languages, the initial discussion and the explanation of the project at the beginning always takes some time. This is enjoyable time for everyone, to think and imagine together. Then I make sure everyone has their materials ready, and for the second half of the session, the young artists just work independently, at their own pace, asking question if needed. My favourite part is when we have 5 minutes left, and everyone brings their works to the table at the front of the class, to admire each others' creations before placing them in one big envelope.